Thaco will use nearly VND 3,900 billion to expand its production, business and invest in agriculture. On 1/2, Truong Hai Auto Joint Stock Company (Thaco) consulted shareholders in writing about the issuance of private shares. Accordingly, enterprise of billionaire Tran Ba ​​Duong will consult shareholders about issuing more than 30.3 million shares this year to strategic shareholders - Jardine Cycle & Carriage Limited, a Singapore enterprise due to Mr. Cheah Kim Teck represented. The par value of each issued share is VND 128,500. With this issuance, Thaco expects to collect nearly VND 3,900 billion. Newly issued shares will be restricted from transfer for one year from the date of completion of the offering. The amount of nearly VND 3,900 billion collected from private share issuance for strategic shareholders will be used by this enterprise to expand production and trade in cars; investment in infrastructure, industrial parks, urban areas and investment in agriculture. Thaco's representative said that the company will issue the issuance right after the State Securities Commission has announced to receive complete dossiers of registration for offering private shares of enterprises. With this private issuance, enterprises will amend the charter and register to increase charter capital to VND 16,950 billion. Besides automobile production and trading, 2018 marked Thaco's move to the agricultural sector when it became a strategic partner of Hoang Anh Gia Lai (Stock code: HNG), through buying 221,688 bonds. convertible, worth VND 2,200 billion. After the operation of buying bonds to eliminate debts, Thaco and the group of shareholders owning 35% of HNG with a total investment of over VND 3,800 billion. 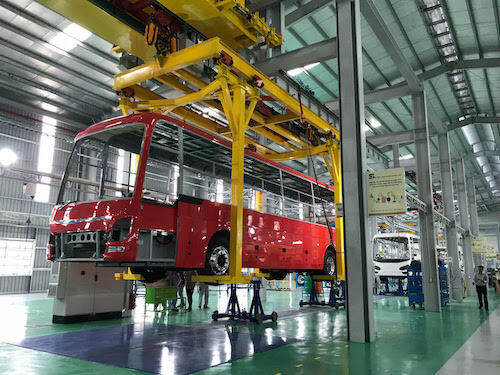 Along with that, Dai Quang Minh also invested to own 51% and will continue to raise 65% Hoang Anh Gia Lai Myanmar with an investment of VND 4,000 billion. Thaco pledged to arrange to restructure loans of about VND 14,000 billion and mobilize investment capital to take care of existing fruit-growing areas as well as expand and continue investing in the second phase Myanmar project. The total amount of Thaco's investment in Hoang Anh Gia Lai companies is about VND 22,000 billion, approximately one billion USD. Which investment channel is bright for 2019?